Welcome to the home of SZIP on the web. SZIP is a utility for compressing data defined on the sphere. Large data-sets that are measured or defined inherently on the sphere arise in a range of applications. Examples include, astronomical observations that are made on the celestial sphere, such as the cosmic microwave background (CMB) [see left image], and environmental illumination maps [see right image below] and reflectance functions used in computer graphics. Technological advances in observational instrumentation and improvements in computing power are resulting in significant increases in the size of data-sets defined on the sphere. For example, current and forthcoming observations of the anisotropies of the CMB are of considerable size. Recent observations made by the NASA WMAP satellite contain approximately three mega-pixels, while the forthcoming ESA Planck mission will generate data-sets on the sphere with approximately fifty mega-pixels. The efficient and accurate compression of data on the sphere is therefore becoming increasingly important for both the dissemination and storage of data. SZIP was developed as a first step towards meeting these challenges. The compression algorithms implemented in SZIP are similar in flavour to JPEG 2000 compression of digital images. A wavelet transform (on the sphere) is applied as an energy compression stage, followed by entropy encoding. Further technical details are discussed below. SZIP is freely available for academic purposes and may be obtained by completing the download form below. We hope you enjoy SZIP and please get in contact if you have and requests for improvements in future versions. SZIP provides an implementation of algorithms developed to compress data defined on the sphere. A Haar wavelet transform on the sphere is used as an energy compression stage to reduce the entropy of the data, followed by Huffman and run-length encoding stages. Both lossless and lossy compression algorithms are included. The compression performance of SZIP on simulated CMB data, Earth topography data and environmental illumination maps used in computer graphics has been evaluated. CMB data can be compressed to approximately 40% of its original size for essentially no loss to the cosmological information content of the data, and to approximately 20% if a small cosmological information loss is tolerated. For the topographic and illumination data compression ratios of approximately 40:1 can be achieved when a small degradation in quality is allowed. J. D. McEwen, Y. Wiaux and D. M. Eyers, Data compression on the sphere, Astron. & Astrophys., 531, A98, 2011. J. D. McEwen and D. M. Eyers, SZIP user manual, Technical Report, University of Cambridge, 2010. For various licensing reasons it is not possible to release SZIP as open source, although this is in general the authors' preferred approach to releasing code for academic research (see this page for example). Please contact the authors to request a copy of SZIP and to discuss licensing. To test your copy of SZIP you can use the simulated CMB map gcmb001_n256_nest.fits. You can then use SZIP to compress, and then decompress, this data file. If you use the default compression settings (i.e. if you run 'szip -c -i gcmb001_n256_nest.fits', without the quotations) then your compressed file should match gcmb001_n256_nest.szip. Don't forget to browse the user manual! The use of SZIP for commercial purposes is absolutely prohibited. If you are interested in using SZIP for a commercial application please contact us to discuss licensing. Furthermore, if you are interested in any of the algorithms implemented in SZIP for alternative uses (in addition to compression) please do also contact us and we discuss these issues further. Note: SZIP is distributed in the hope that it will be useful, but WITHOUT ANY WARRANTY; without even the implied warranty of MERCHANTABILITY or FITNESS FOR A PARTICULAR PURPOSE. SZIP has been developed by Jason McEwen and Dave Eyers at the University of Cambridge. Read on to find out more about the authors; contact details can be found on each authors' academic web page. 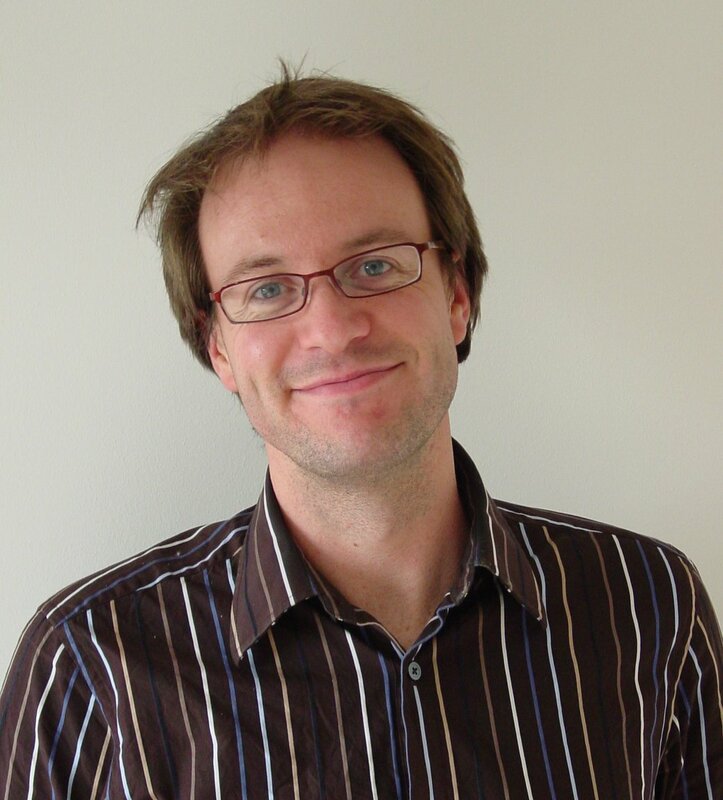 Dr Jason McEwen is currently a Postdoc in the LTS2 signal processing laboratory at Ecole Polytechnique Federale de Lausanne (EPFL). His academic research is concerned with the analysis of the CMB radiation, a relic radiation of the Big Bang, which is observed on the celestial sphere. A large proportion of Jason's research is focused on harmonic analysis on the sphere, such as wavelet and optimal filter theory. Dr David Eyers is a lecturer in Computer Science at the University of Otago and a visiting research fellow at the University of Cambridge Computer Laboratory. He teaches and supervises projects in computer graphics and has broad research interests in high performance computing, security and distributed systems topics.